Vans are expensive, there are no two ways about it. If your business can’t get by without one, then you’ll want to do everything you can to cut costs. But sometimes the cheapest short term option isn’t the most cost efficient in the long run, and if you buy a second-hand van that turns out to have loads of faults, you could end up paying for it twice over. Our guide to buying a second-hand van tells you how to make sure you’re not caught out by a dodgy dealer or faulty van, so that you can get the most for your money. The first step is pretty simple – know what kind of van you’re looking for. Delivery drivers may opt for a Luton box van because of their extra storage space, while a handyman may consider a smaller, more compact car-derived van (CDV), like the Vauxhall Corsavan. 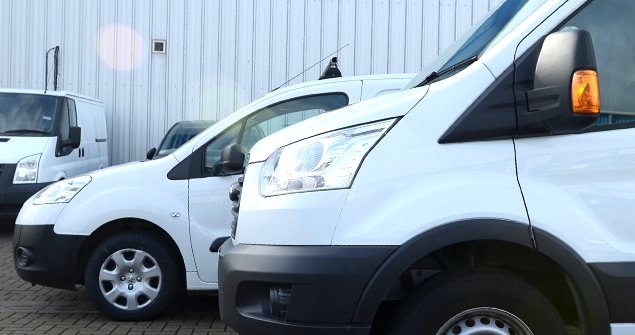 Yes, it may seem strange to worry about what your van looks like but remember that if you’re using it to run your business, your van’s appearance is one of the few things your customers will be able to judge you on. Just make sure you don’t get carried away by fancy technology and end up spending more than you have to for features that you don’t use. Don’t ever buy a second-hand van blind – i.e. without test driving, or at least viewing the van – or you’ll have no way of knowing what you’re getting yourself into. • Dashboard – are any warning lights flashing? • Controls – do the indicators and windscreen wipers work? Pay attention to any other unusual noises or feelings – e.g. do the gears transition smoothly? Trust your instincts; although every vehicle feels different, you’ll usually be able to tell when something’s not quite right. You have a few options when buying a previously owned vehicle. You can go to a dealer or trader and buy through them or from a private seller. Buying from a dealer means you may end up paying slightly more, because the dealership will hike up the price in order to make a profit. The upside of doing it this way is that, if a fault is found within 30 days, you can return the van and get your money back. The 2015 Consumer Rights Act states both this, and that the seller must provide clear and honest information about the van before you buy it. On the other hand, if you buy from a private seller then you may be able to get a better price but certain parts of the Consumer Rights Act won’t apply, so make sure you do your research first. Once you’ve found a van you’re interested in, start asking questions about its history – what’s it been used for, how old it is, how many miles it’s done, any previous issues it may have had, etc. This will help you understand what kind of wear and tear the van has been through and what problems it’s likely to have down the line. If you want to be extra cautious, you can pay the DVLA for a vehicle history check, which will tell you everything you need to know about the vehicle’s police and insurance records. Once you’ve completed your checks and are certain that the van you want to buy is in good working order, the last step is to check that all of the necessary paperwork and documentation is in place. • The V5C logbook should match the vehicle’s registration and be watermarked to prove its authenticity. 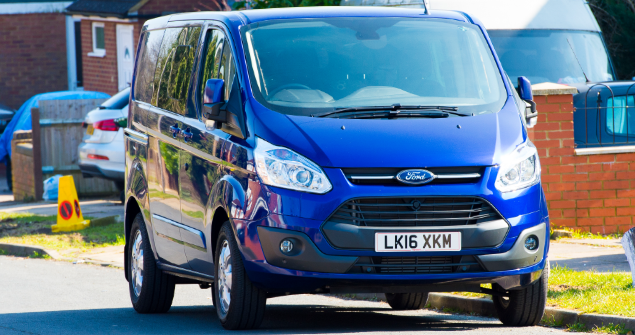 • Look at the van’s service history and any repair warranties or receipts. • Make sure the van has a valid MOT certificate. • If you are driving it away after purchase, make sure you have the correct van insurance in place first. Don’t ever let the seller pressure you into buying their old van. It’s a common sales technique to tell the buyer that the vehicle has had lots of interest, and is sure to be snapped up by someone else if you don’t buy immediately, but this is rarely the case. Take your time and make sure you’re certain that the van’s in good condition – the worst thing you can do is rush into the purchase and end up with a van that either doesn’t fit the bill or falls to pieces after a couple of months. Once you’ve found a van that you’re happy with, don’t forget to sort your insurance before you drive away! You can compare cheap van insurance quotes with The Van Insurer and with our Cheapest Price Guarantee, you can be certain that you’ll find a great deal. Next page: Electric vans - should you buy one?